Titan Quest review code provided by the publisher. On the face of it, the idea of a Diablo-style, hack and slash RPG being thrust into an ancient mythological setting is an enticing one; the sheer amount of naughty gods, gruesome monsters, fantastical settings and even more fantastic loot possibilities all seem tailored made for the sub-genre that Blizzard crafted back in the day. At a base level Titan Quest fulfils this premise, but a menagerie of issues and shortcomings all conspire to prevent it from reaching the upper echelon of a genre already filled with notable entries. Originally released on PC back in the mists of 2006, Titan Quest has received a whole new coat of paint for its PS4 and PS4 Pro debut. 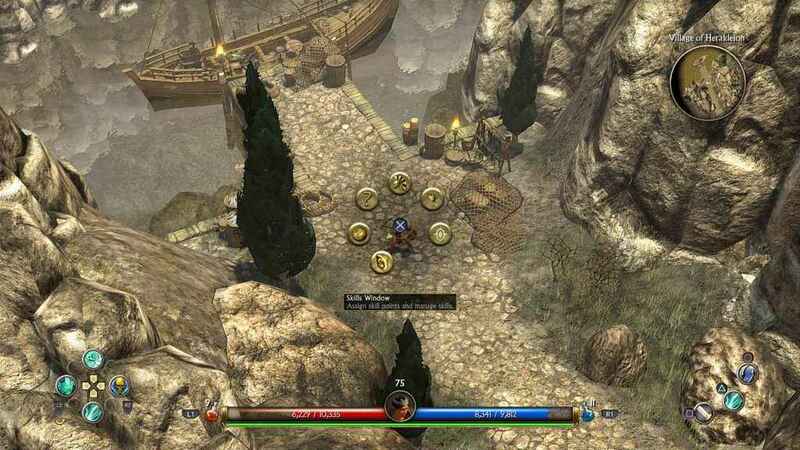 With boosted resolution, new texture work and a reworked interface to take advantage of the DualShock 4 controller, it’s fair to say that the developer in charge of the port, Black Forest Games, certainly put the effort in to get Titan Quest working well on Sony’s home console. Being a hack and slash affair, Titan Quest asks little from the player other than for them to roam around the map, beat monsters into paste, complete quests, and of course, scoop up all that wonderful loot. It also doesn’t hurt that the setting is compelling too, with the notion of dishing out beatings to a variety of monsters that span the breadth of Titan Quest’s ancient Greek, Asian and Egyptian influences proving to be an intriguing one, the sheer variety of settings encompassed by the game is arguably one of its strengths. Where things start to fall apart however, is just about everywhere else. From the top, the first thing which immediately rankles about Titan Quest on PS4 is that it only supports online multiplayer play and not couch based co-op play; a terrifyingly egregious oversight when you consider that the likes of Diablo III and other games of the same ilk include such a basic, yet hugely appealing feature. The visuals in Titan Quest have been given a massive bump in resolution and texture detail for the PS4 release of the game. Missing multiplayer functionality aside, though the effort poured into this remaster is commendable, it remains a largely uneven effort all the same. The pre-rendered cutscenes that back in 2006 looked pretty neat, now instead look dated, blocky and lacking in detail on a HD screen, let alone when blown up to four times the pixel count on a 4K TV. Another problem with the conversion to PS4 is the manner in which quest text is presented. You see, when you talk to NPCs, a big ol’ text box manifests itself above their heads and text begins to scroll onto it detailing the quest at hand, The issue is, the text simply scrolls excruciatingly slowly and worse still, there appears to be no way to speed things up at all. Beyond this, it appears that the leap to PS4 has also brought with it some unsightly performance issues too. Chiefly, when the screen is packed with enemies, spell effects going off or if the player decides to zoom in or out during all this, the framerate absolutely plummets. For a game that even with a new coat of paint, still looks fairly dated, there’s just no way to really justify these performance issues. 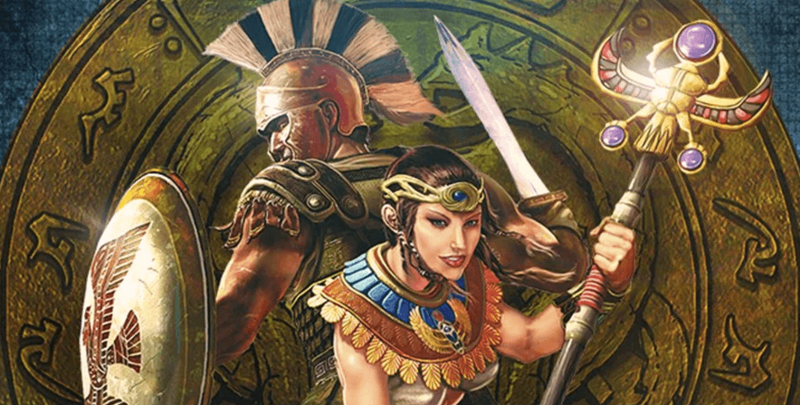 The UI for Titan Quest has been designed with the DualShock 4 controller in mind. Arguably though, by far the biggest issue with Titan Quest is that it just isn’t as responsive as it needs to be. A quick tilt of the analogue stick is enough to confirm this fact as your hero will run and then keep running for a little bit longer after you’ve released the stick – not a good thing. Equally, the combat is similarly flawed and unsatisfying, lacking both the seamless targeting of Diablo III (a wretched auto-targeting system is used that makes it difficult to target who you want to in busy situations), and the familiar heft of its crunching melee battles. Furthermore, folks who have been brought up on a steady diet of smashing boxes, barrels, crates, pots and just about anything else they can find in games such as Diablo III and Victor Vran will be sorely disappointed here, since the only thing you can attack are the various enemies that fill each area and literally nothing else. Ultimately, and with the exception of that last issue which was baked into the game during its original release, a lot of these problems can be addressed by a post update patch which one would hope isn’t too far behind. On the flipside though, if you and another PS4 owning friend both have a copy of Titan Quest, then many hours of Diablo-flavoured Greek mythological dungeon crawling await and Titan Quest, with its myriad skill trees, loot and gargantuan campaign, all add up to create a muscular and long-lasting offering. It’s just a shame that the whole concept just hasn’t been executed better because, in all honesty, the idea of an ancient, mythological take on the Diablo template remains a compelling one. As it is in its current state, by putting it alongside the likes of Diablo III, Victor Vran and Wolves of Midgard, we expose Titan Quest to comparisons it cannot possibly survive, and really you should probably pick up one of the genre exemplars from that aforementioned trio rather than this game. 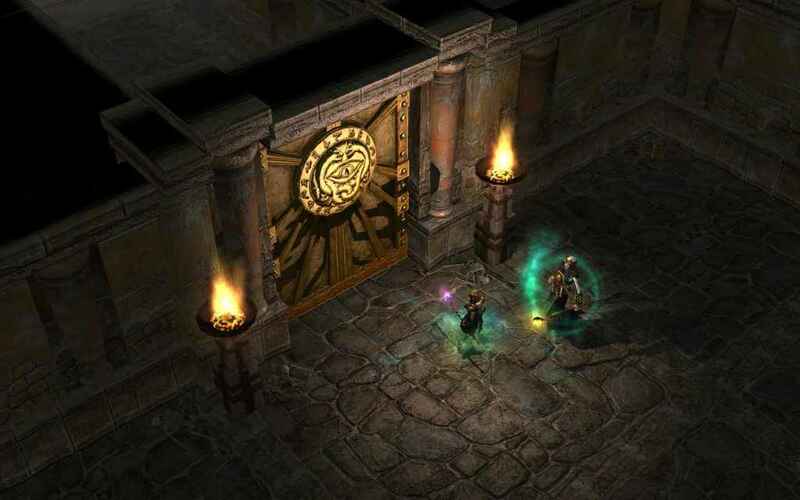 A perfectly average dungeon crawler with hours of gameplay to offer, Titan Quest's flaws are too numerous to properly recommend it above and beyond its genre counterparts. This was one of my favorite Hack & Slash titles on the PC back then and I was a bit surprised to see it pop up on modern consoles…. but I have to agree that not building in local co-op was a massive oversight and would be the only reason I would have bought this (again)… so I could play it with my g/f.